Should I Start Seeing a Cardiologist at a Certain Age? 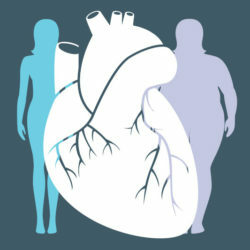 Find the truth about questions that pique your curiosity in our series, “The Short Answer.” Cardiologist Steven Nissen, MD, answers this one about genetics and heart disease. Will Stem Cell Research Change Treatment of Heart Disease? Find the truth about questions that spark your curiosity in our series, “The Short Answer.” Preventive cardiologist Haitham Ahmed, MD, MPH, answers this one about heart disease. You may think that your heart is as old as you are, but it’s possible that your heart is aging faster than your chronological age.